So for weeks I have been trembling with anticipation. Part of the program for Perth was a sailing trip on the Swan River organized by the Royal Perth Sailing Club. When the great day came I am told that there had been a change of plan. We would no longer be going out because the wind was too high. I am devastated. I had been wearing the sailing gloves that Ian gave me 24 hours a day for the last week. 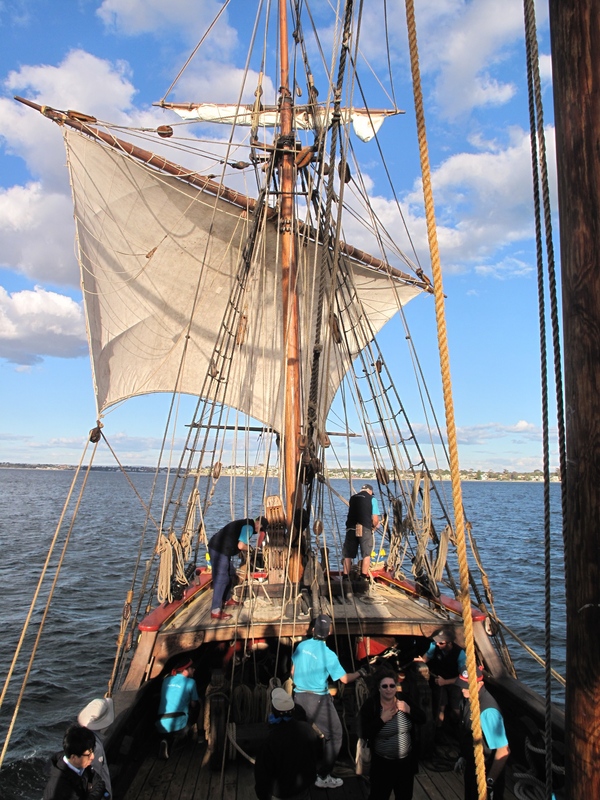 Instead there was to be an excursion on the Duyfken. 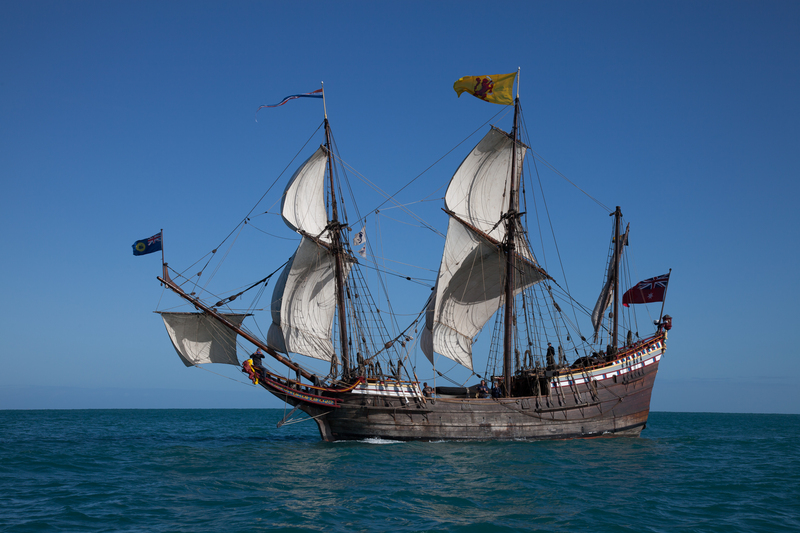 The literature said that the Duyfken had been to West Australia in 1606 – 164 years before the arrival of Captain James Cook. It also said that the boat was Dutch. Clearly misprints. This is she under nearly full sail. So off we go on a perfect replica of a 17th century sailing boat. It is wonderful! The crew let me help with setting sails and stuff and in a typically ” No worries” way allow me to run around the boat with no restriction. The wind is strong, so we motor down the river towards Fremantle and then turn so the wind is behind us. First we raise the foresail. I try to engage the skipper, who has spent his life on huge oil tankers, in sailing strategy discussion. Strangely he seems to ignore my advice. 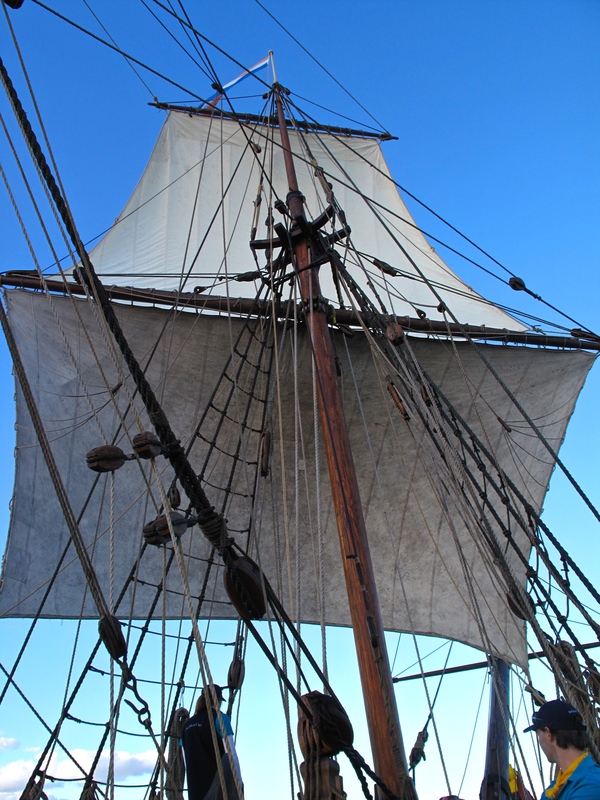 We then raise the much bigger foretopsail. This a brand new sail and there is some delay as various sheets and halyards have to be adjusted. I have never enjoyed myself so much. So interesting – I realize that raising sail on these boats was a time consuming business. So what, if you were miles out at sea with thousands of miles to go? Take all day if you want. 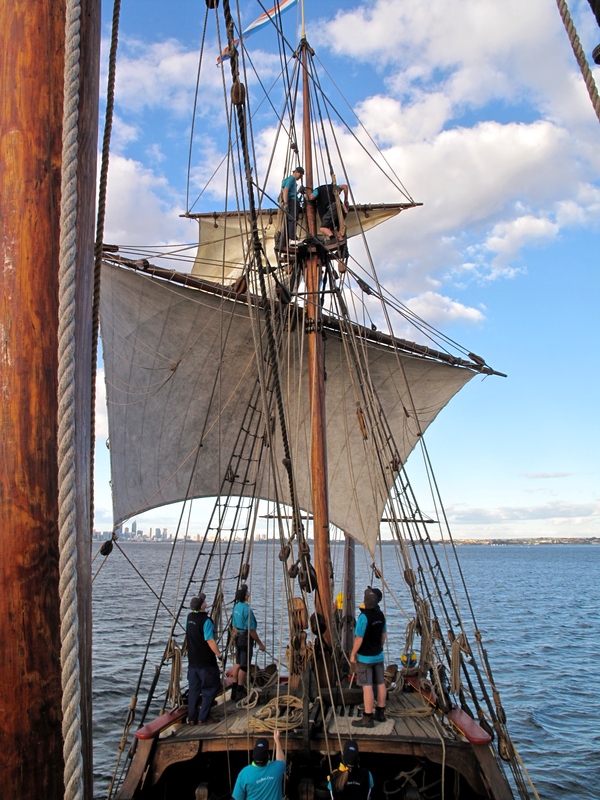 Even with just the two sails set, Duyfken swoops towards Perth at around 4-5 knots. I used to have a 14.6 sailing dinghy, you know. Once back on shore, there was a BBQ at the Royal Perth Yacht Club, which due to the wind,was a bit of a blow out. No worries! 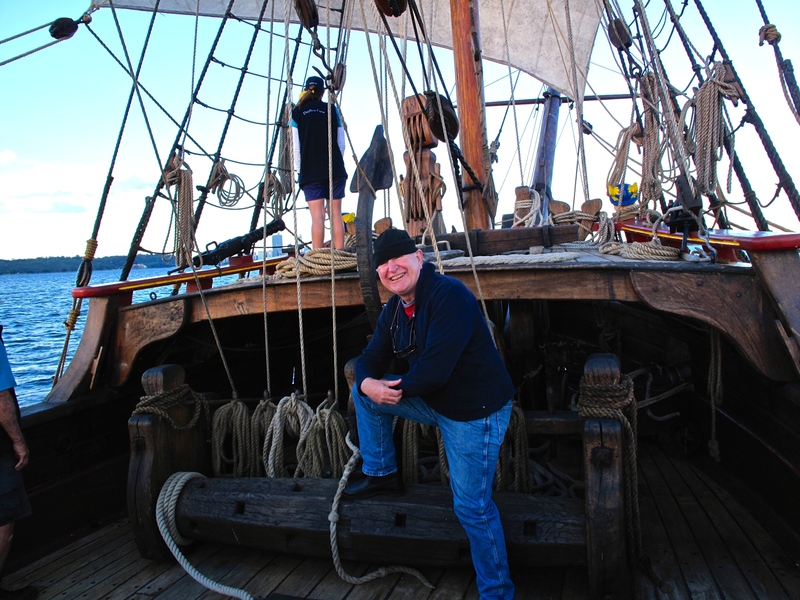 The trip on Duyfken was unforgettable. Thanks Perth.